Hi. Julia here. 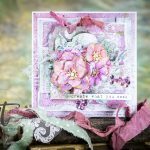 Today I’m sharing a card made featuring a brand new Steel Rule Die designed by Debi Adams. 1. Cut the sentiment dies from the Hip Hip Hooray Die Set out of Black Card. Run the Oopsy Daisy Die through the Platinum Machine with the 2 Cutting Plates only and 5 layers of patterned paper and 4 layers of Colorcore Card. 2. Trim a piece of White Card to 5½” square. 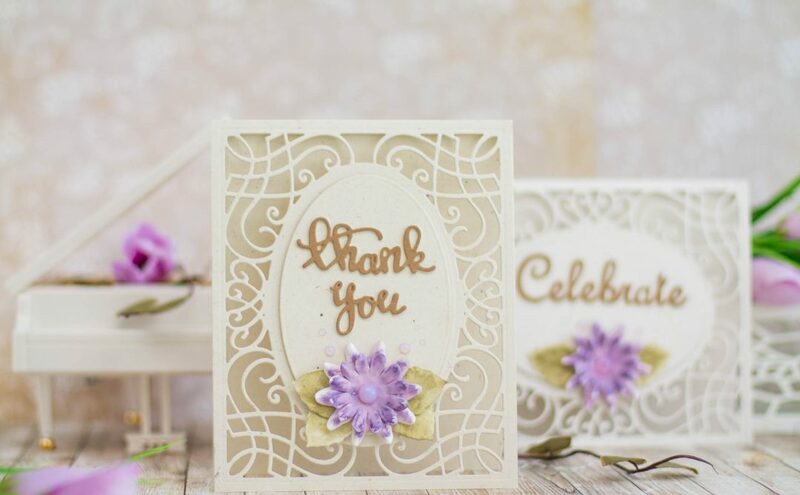 Emboss using the Flowers and Leaves Embossing Folder – the card is bigger than the folder but it’s easy to extend the design. 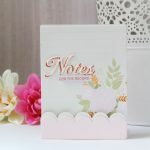 Place the card inside the folder and position the Cutting Plate away from the side edge of the folder and then run through the Platinum. 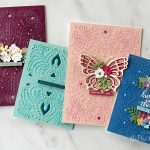 To emboss the rest of the card, slot a section of the already embossed card back into the pattern on the folder ensuring that the remaining blank card is now inside the folder, secure with low tack tape and run through the Platinum the same way as before. 3. Shape all the flowers by pinching each petal in the middle. 4. Stack the flowers on top of each other, offsetting each one slightly and securing with glue. 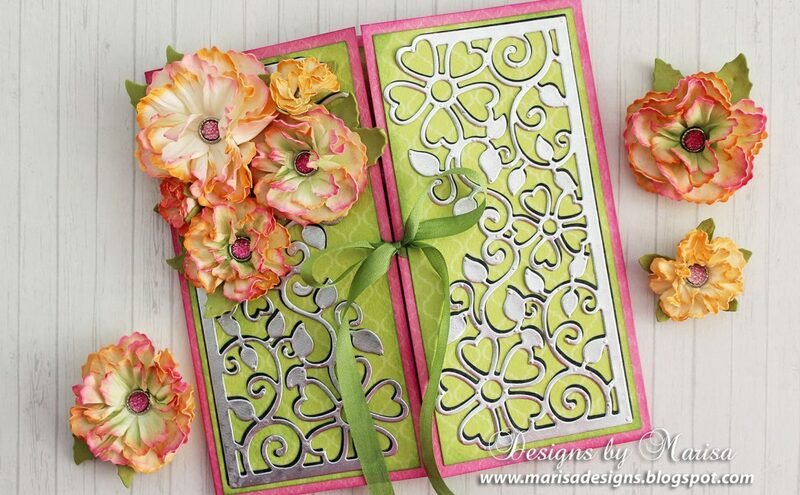 Once all are secured press down in the centre - this will make the petals pop up and add dimension to your project. 5. Emboss the leaves using the Overlapping Circles Embossing Folder and sand using a sanding block to reveal the core. 6. Trim a piece of Black Card to 5⅛” square and add the embossed background. Other mats are – patterned paper 5⅞” square, White – 6¼” square, Black – 6⅛” square and White 6¾” square. For a smaller card, add fewer mats. 7. Assemble the card as shown pinching the leaves in the middle to shape. 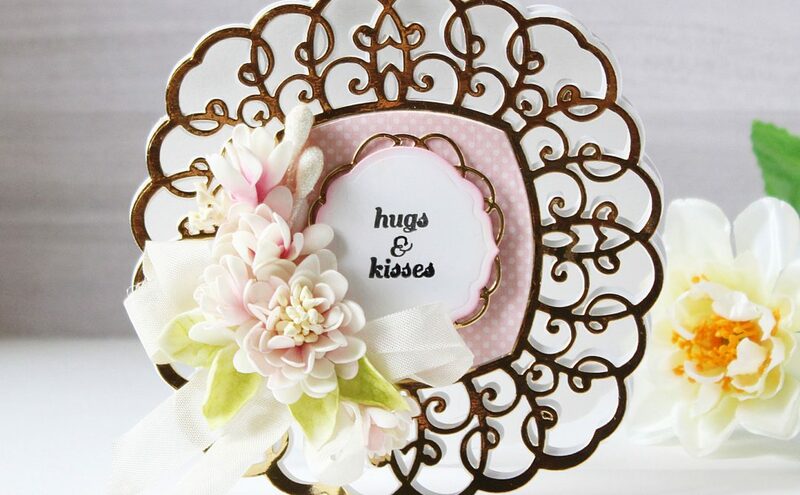 Add a Pearl Embellishment to the centre of each flower and a Pearl to each corner.